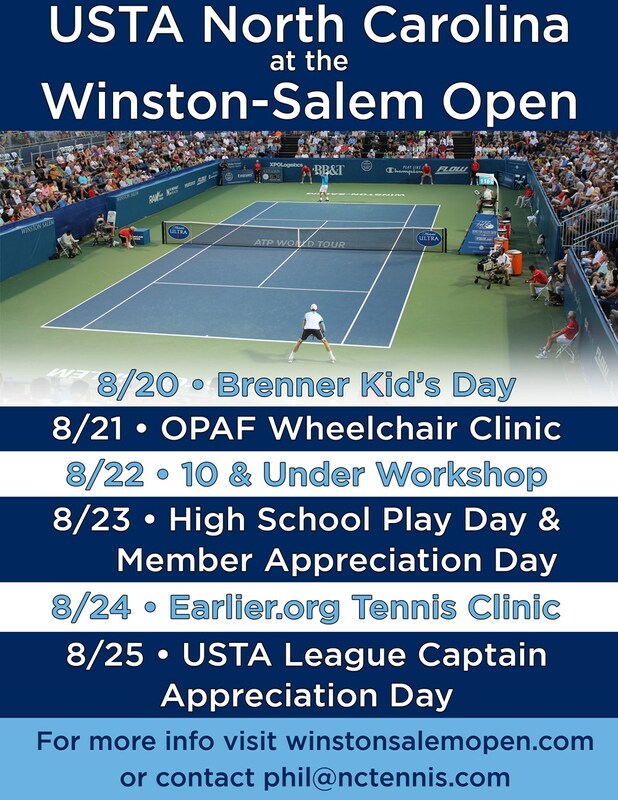 Attention all Adult League and JTT Captains, don’t miss USTA North Carolina’s Captain Appreciation Day Thursday, August 25th at the Winston-Salem Open. Stop by our USTA North Carolina booth anytime throughout the day to receive a special gift. Our mission is to develop and promote the growth of tennis in North Carolina, and that wouldn’t be possible without your help. Thank you and we hope to see you Thursday, August 25th.